Extraordinary new nonfiction, a gripping blend of history and memoir, by the author of the award-winning and best-selling international sensation The Hare with the Amber Eyes. 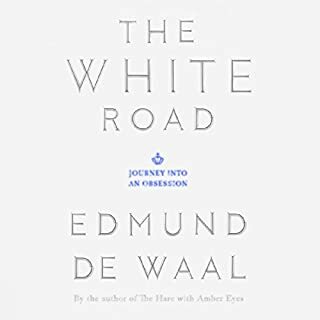 In The White Road, best-selling author and artist Edmund de Waal gives us an intimate narrative history of his lifelong obsession with porcelain, or "white gold". Ann Blake, a rare-book expert and conservator, was imprisoned for a drunk-driving accident that she doesn't remember, one that resulted in the death of her husband, a famous rare-book expert. 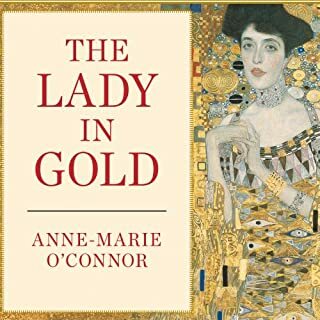 But she is freed from prison by CIA undercover agent Tucker Anderson in exchange for her help and expertise on the Library of Gold, a legendary collection of books that have been lost to the world for over a century. The Ephrussis were a grand banking family, as rich and respected as the Rothschilds, who “burned like a comet” in 19th-century Paris and Vienna society. Yet by the end of World War II, almost the only thing remaining of their vast empire was a collection of 264 wood and ivory carvings, none of them larger than a matchbox. The renowned ceramicist Edmund de Waal became the fifth generation to inherit this small and exquisite collection of netsuke. Entranced by their beauty and mystery, he determined to trace the story of his family through the story of the collection. The netsuke—drunken monks, almost-ripe plums, snarling tigers—were gathered by Charles Ephrussi at the height of the Parisian rage for all things Japanese. Charles had shunned the place set aside for him in the family business to make a study of art, and of beautiful living. An early supporter of the Impressionists, he appears, oddly formal in a top hat, in Renoir’s Luncheon of the Boating Party. Marcel Proust studied Charles closely enough to use him as a model for the aesthete and lover Swann in Remembrance of Things Past. The Anschluss changed their world beyond recognition. Ephrussi and his cosmopolitan family were imprisoned or scattered, and Hitler’s theorist on the “Jewish question” appropriated their magnificent palace on the Ringstrasse. A library of priceless books and a collection of Old Master paintings were confiscated by the Nazis. But the netsuke were smuggled away by a loyal maid, Anna, and hidden in her straw mattress. Years after the war, she would find a way to return them to the family she’d served even in their exile. 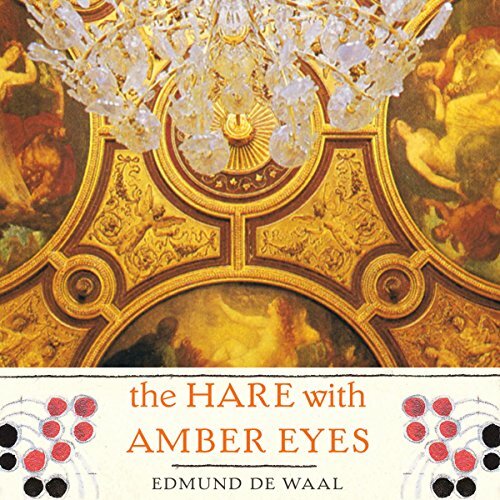 "Hare With The Amber Eyes" is a perfect book for someone interested in art history, family history, and the stories our stuff have to tell. That would be me. Author Edmund de Waal is a ceramics artist, raised in a Church of England family. When he inherits a collection of netsuke (tiny Japanese carvings) from his great-uncle Iggy, he sets out to tell their story. This draws him into a two-year "vagabond" in which he explores his mother's side of the family. She is from one of the great Russian-Jewish merchant/banking families of Europe -- the Ephrussis. The subtitle is "A Family's Century of Art and Loss." When the netsuke collection was acquired in the 1870s, in Paris, the Ephrussis were the toast of the town, mingling with authors like Proust and many of the Impressionist painters. But anti-Semitism lurks beneath the surface. The netsuke are sent as a wedding present to a nephew in Vienna, just as Hitler is beginning his rise. Nothing remains but the stories. This is the theme, I think. Families come and go. Dynasties rise and fall. A few trinkets get passed along. We want their stories. De Waal does a beautiful job of following his curiosity, walking (as literally as he can) in his ancestors footsteps through Japan, Paris, Vienna, and Odessa. He's lucky in that his family was famous, so there is documentation of them everywhere. But instead of being overwhelmed with the details, he uses the netsuke -- and the family love of art -- to pull together a strong narrative. The book also explores our attachment to our possessions -- most dramatically when the Nazis march through Vienna seizing property from the wealthy Jews, snatching their works of art and meticulously cataloging them for "Aryan" museums. The meaning of being dispossessed, of losing everything, came home to me. Like it or not, our possessions are us. I originally downloaded the book on Kindle, but couldn't find the time to settle into it. So I wound up downloading it from Audible. Michael Maloney's reading immediately engaged me. 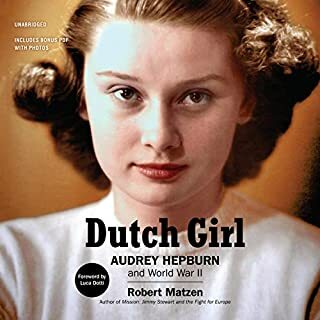 This non-fiction audiobook "reads" as a fiction book in the sense that it holds one's attention without bogging the reader down with dry minutiae. Each person in the recounting came to life in such a way that I still think of them. It was fascinating to learn about this interesting and accomplished family and its fate, told in part through the travels of a collection of netsuke over two centuries.I was sad when the story came to an end, as the listening was so enjoyable. Would you listen to The Hare with Amber Eyes again? Why? No, I enjoyed it fully. Now time to spread the word about this amazing journey. What was one of the most memorable moments of The Hare with Amber Eyes? Do I really have to limit it to one? The story isnt really structured that way. Its the experience of the whole book that matters. Narration is very good. It did take me a little while to settle into it but once I did, could not stop listening. Now its done and I feel bereft. The sadness of finishing a truly absorbing story. This story focuses on 'netsuke', tiny Japanese carvings which were fashionable in Paris during La Belle Epoque. The narrative wanders among the lives of the family who owned a particular collection of netsuke through Paris, Vienna and Tokyo with a few stops in other cities for background. Because the family was one of the wealthy Jewish banking families of the late 19th century and early 20th century, the story of the 'netsuke' illuminates some of the significant political, economic and cultural trends in which the family was involved,. In particular the role of the first Effrusi owner of the 'bibelots' in the high culture of Paris at the turn of the century is examined in letters and novels of the period. 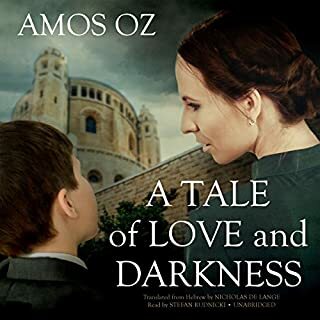 The story then travels to the transformation of Vienna from the capital of a splendid empire to the forefront of National Socialism, and makes a stop in the postwar period in Japan. The role of the objects we own and value is examined from multiple planes, much like through different sides of a prism. I found the book very satisfying but found the performance frustrating at times. It was well read in terms of speed but the tone was at times overly dramatic. Also, the accent of the narrator was very pleasing and upper class (which matched the narrative) but he gets a bit carried away with the sound of his own voice and this sometimes distracted from the story. I have actually purchased a copy of the book because I would just like to read the story without the dramatic intonation. And despite sounding like he has an ear for languages, the narrator misprounounces a LOT of the foreign words, including 'netsuke'. If you listen to the podcast interview that follows the book, the pronunciation by the author and the interviewer makes it clear that it is mispronounced throughout the book. That was my only complaint with this recording. HIghly recommended book otherwise, especially for anyone interested in turn of the century culture and art. What made the experience of listening to The Hare with Amber Eyes the most enjoyable? Listening to the story of the Ephrussi family took me to so much history that is interesting to me: art and collecting in the Impressionist period, the Jews in France and Austria, and the lives of people who help define and participate in their times. The personal journey of the author in learning about his family was beautifully described. Each period of the story was memorable: the relationship of Charles Ephrussi with the Impressionists and with Proust, the hideous fulmination of Viennese anti-Semitism, the relationship of the author with his great uncle in Japan. What aspect of Michael Maloney’s performance would you have changed? His inaccurate pronunciation of the word "netsuke." Considering that the journey of the netsuke collection is the core of the story and that it is the most important single word in the story, it is hard to understand how the pronunciation was overlooked. 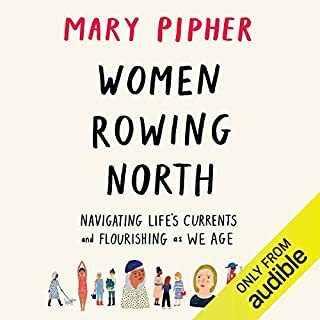 There was a podcast with the author at the end of the book. He says the word correctly, of course, and that just made the error worse. Yes, if I had that much time! I listened in huge chunks of time while I was working. It is also so good that I was sorry when it ended. The book reads like a really good work of fiction which made it even more amazing that it is a true story. Another reviewer summed it up best, I think: "too much and too little". Too much of things that I didn't find compelling and not enough of what I do find compelling. I didn't finish it, stopping around Chapter 3 in the 1870's. A family member sent me the family tree from the book, which was helpful, but I just wasn't finding the people or the time periods came to life enough to make it something I cared about. The narrator seemed great and had superior French pronunciation! If you could sum up The Hare with Amber Eyes in three words, what would they be? Michael Maloney is a superb narrator for this wonderful multi-faceted historical family memoir. Got the book in whisper-sync and read it half-and-half on kindle app and listened. Maloney has the golden voice of a Shakespearean actor (sounds a bit like Richard Burton but not nearly as hammy) and reads the book with great flair and enthusiasm, so that even the occasional dry parts with the lists of endless objects in the Ephrussi households are very engaging to listen to. 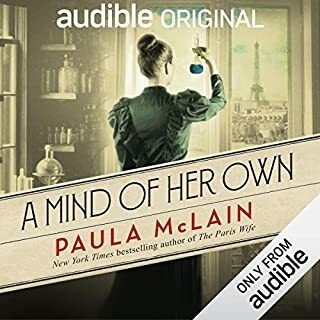 One of the nicest voices of any narrator I have listened to so far. The story itself is gripping--I had a certain interest in netsuke (though knew little), but found myself completely engrossed and fascinated in all sections of the book except maybe the epilogue, where de Waal describes how he can't let go of the book; he's already made that obvious, so I don't think he needed to add that little bit, but it was interesting to hear him make the analogy with his pottery making, which is always about letting go of the beautiful objects that he sells. Most moving was the takeover by the Nazis of the Palais Ephrussi in Vienna. This old couple are suddenly prisoners in 2 little windowless rooms of this fantastic fairytale palace, and even though they can exit the grounds, there is no place where Jews are allowed anywhere in the whole city--not even a park bench! Very touching. Also touching is the return of the netsuke to a prominent place in the elegant living room of Uncle Iggie, the author's great uncle, in his elegant house in Tokyo. Will look for more books narrated by Michael Maloney. What does Michael Maloney bring to the story that you wouldn’t experience if you just read the book? Don't stop after the first 100 pages! This is a slow start, but then it just picks up and sweeps you away. What did you love best about The Hare with Amber Eyes? When I heard about this book, my son was working on a family history project at school and we had just discovered that his grandmother had squirrelled away a family tree that dated back to 1460. Fascinated by seeing names of 17 generations and not knowing anything about them, I was drawn to The Hare with the Amber Eyes. You won't be disappointed! This book is beautifully written, lyrical, moving. Michael Maloney's narration is perfect, his cadence enhancing the natural rhythm of the writing. It is a personal story of a family but it is also a story of this family's place in time and history, a story of the world outside the family and how events shaped the legacy and affected every individual that came before Edmund. The Hare with the Amber Eyes is one of the best books that I have read or listened to in the last 12 months. I highly recommend it. The writing and the narration. Have you listened to any of Michael Maloney?? ?s other performances before? How does this one compare? Beautiful story to listen to - an excellent rumination on people and things. I only wish that I could have been following along on a map. The descriptions of cities and places are rich and delicious, but having never been to any of those mentioned, it came off as a bit abstract and intangible - funny, for a story about so many tangible things. Excellent endeavor overall - offered a new and unique lens to reflect upon WWII era material.